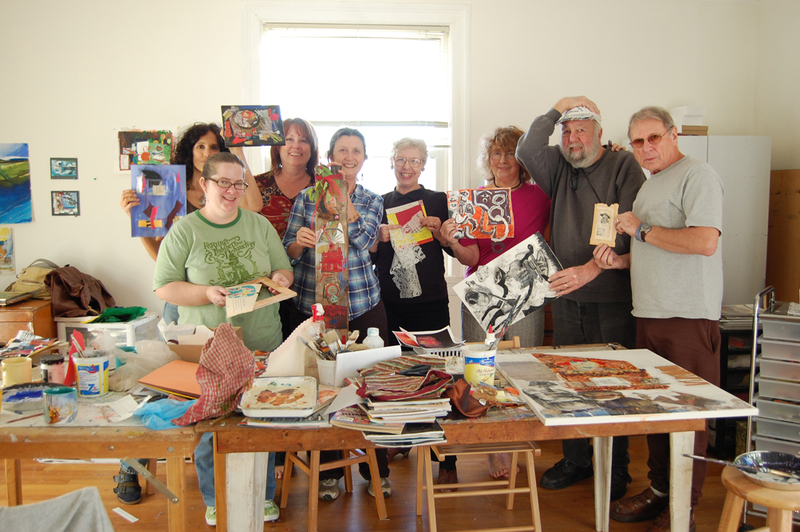 Feb. 2019 gathering – we’ve been meeting every month or so in the studio of Lisa Haddad but plan to celebrate World Collage Day at the new Turnip Green Creative Reuse in the Wedgewood-Houston neighborhood. Opening Sept. 9th, 2017 – a Monthlong Silent Auction of Works by The Four Corners with art spanning the past 7 yrs. of their collaboration. At the Green Gallery, Nashville from 7-10pm,in conjunction with the East Side Art Stumble. Look for a featured article onThe Four Corners in the August issue of Nashville Arts Magazine. 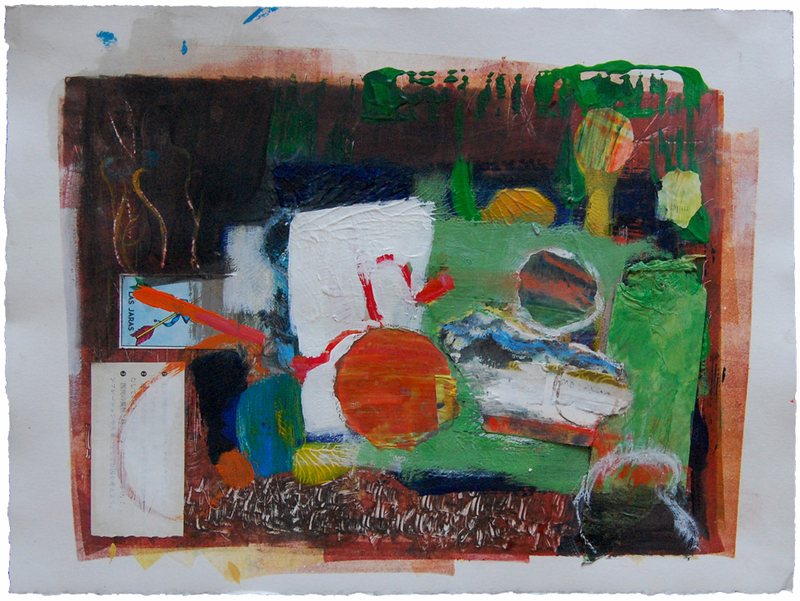 The Four Corners, founding members of The Nashville Collage Collective – Lisa Haddad, Randy L. Purcell, Eva Sochorova and robert bruce scott – exchange materials and works-in-progress to explore a range of collage techniques. This hands-on collaboration, all four artists working on the same pieces, has defined our process ever since. The Nashville Collage Collective celebrates its first year of community-wide involvement with an array of works by 27 local artists. The exhibit opens at the Green Gallery of the Turnip Green Creative Reuse (353 4th Ave So, Nashville) on Thurs. 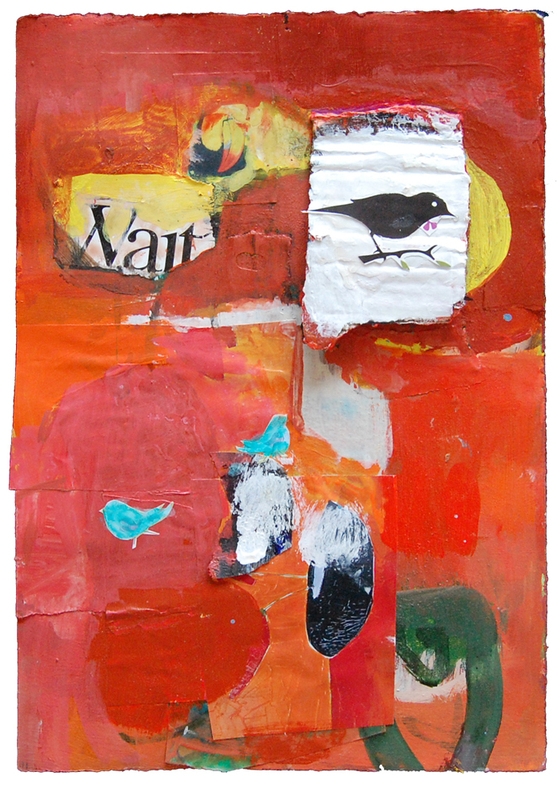 May 21st, from 6-9 pm and will display the wide experimental range and playful nature of collagists. 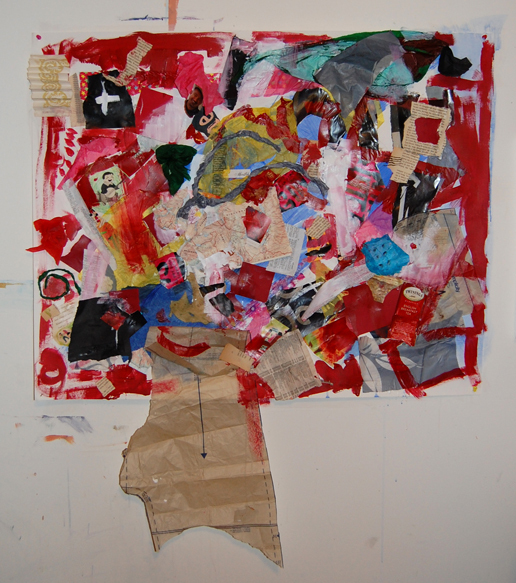 The mixed media pieces, both 2-D and 3-D, include a great diversity of materials, including treasures found in the marvelous bins and shelves of the donation center. Gatherings at Turnip Green Creative Reuse on 4th Ave. So. in downtown Nashville, where we set up in the gallery to work and share materials every second Saturday of the month. Our House – In our more recent, larger-scale collaborations the theme “house” emerged. The four of us, having come from divergent backgrounds and communities have unique ideas about house or home, but we’ve found a way to merge and blend them into what we hope are cohesive images. 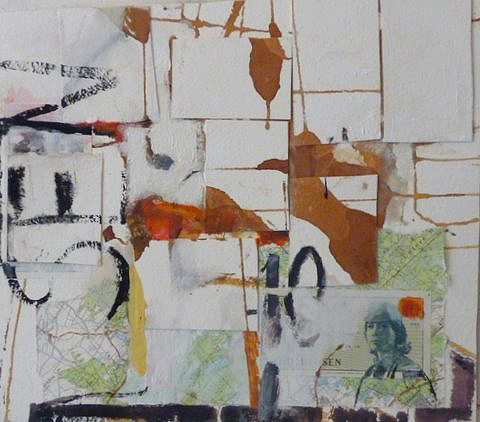 As with all our collaborations collages are passed back and forth until at least one artist calls them “done” – these in particular include torn elements from older pieces. 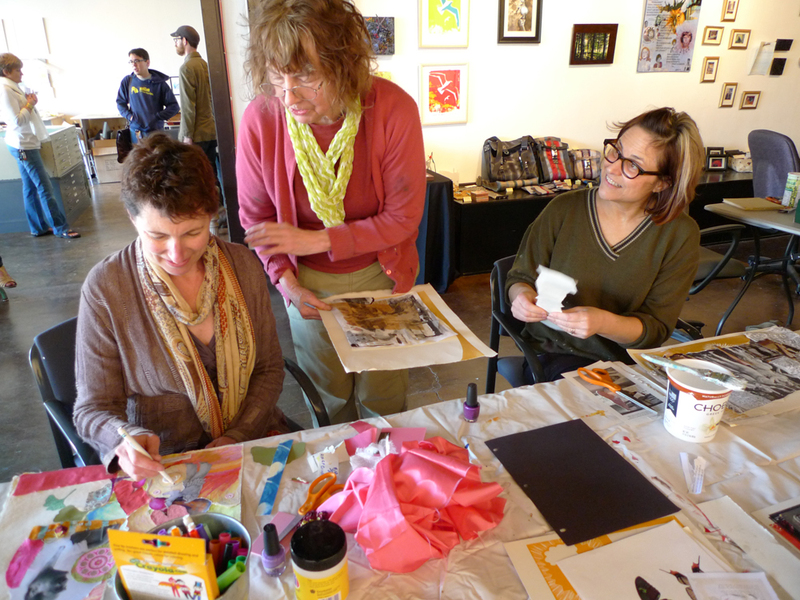 First Nashville Collage Party – On Sunday Nov. 14 we hosted a community studio day open to area artists and friends. Love ’em all! Nashville Chapter Rocks! Why thanks, Rod! now if only we can figure out how to add more… this is rocket science. Great works, but no wonder considering this group of artists. HOW did you happen together? Good question, Teri… I’d been involved with some collagists from the Pacific Northwest, exchanging stuff and also collaborating through the mail. 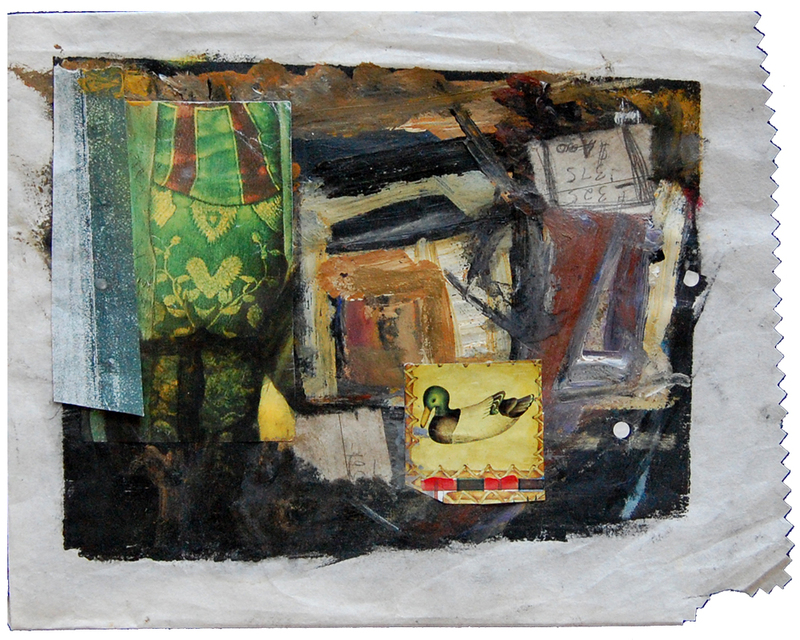 We originally met at a Nick Bantock workshop and had kept our connection going for two years before some Nashville painters and I started talking about having a local group. 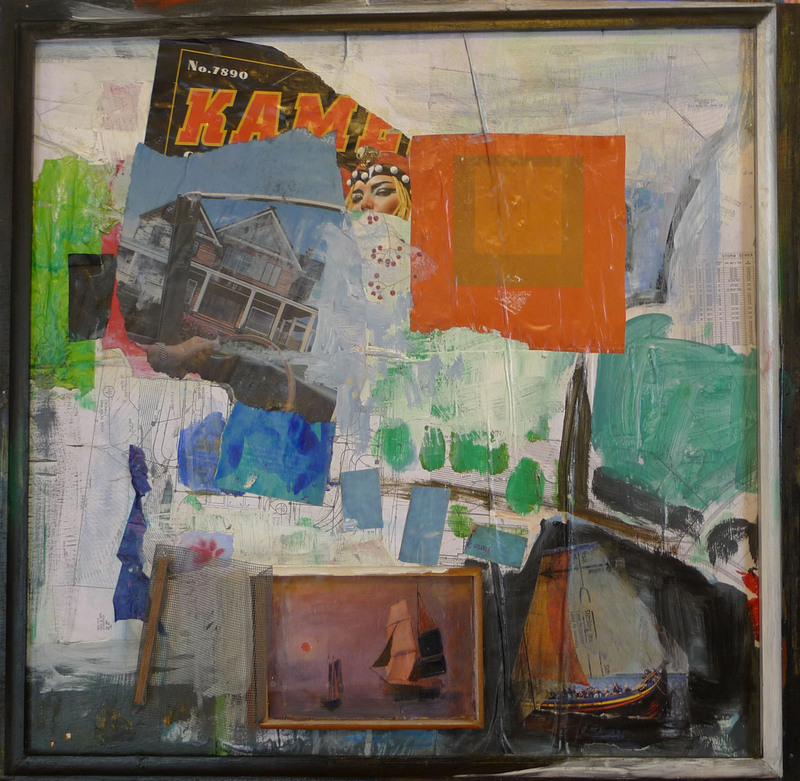 Randy makes architectural beeswax paintings, Eva and Karen are primarily painters, like me and Robert Bruce does alot of assemblage… all are into the breaking apart, reconstructing, integrating and sharing that is collage. 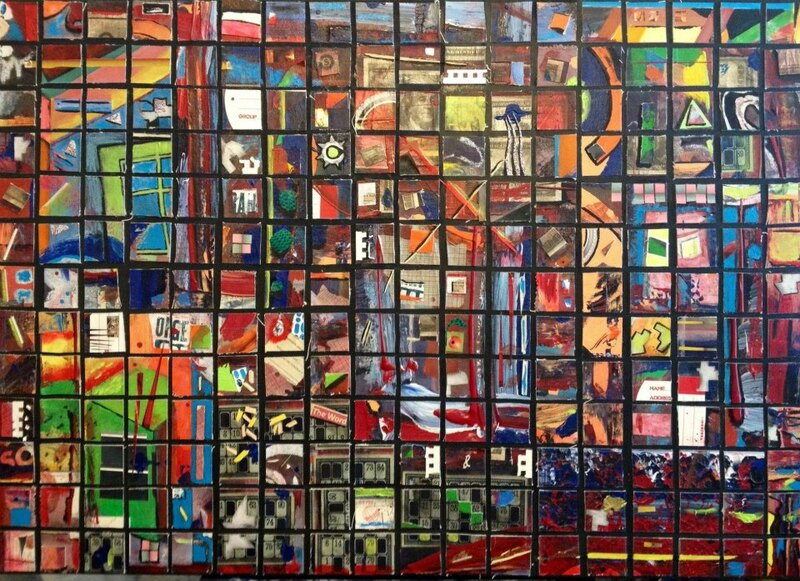 We had googled “Collage Collective” to see who else out there may have used the name… the SF and NYC folks were already well established and generously invited us to share this blog… the rest will be posted here from time to time and hopefully in some Nashville venues too. Our first Collage party took place last Sunday and was fertile ground for even more connection with the community; we’ll put up some images from that event soon. Having fun… come join us! Me-Me! Please, I want to meet up with you guys. 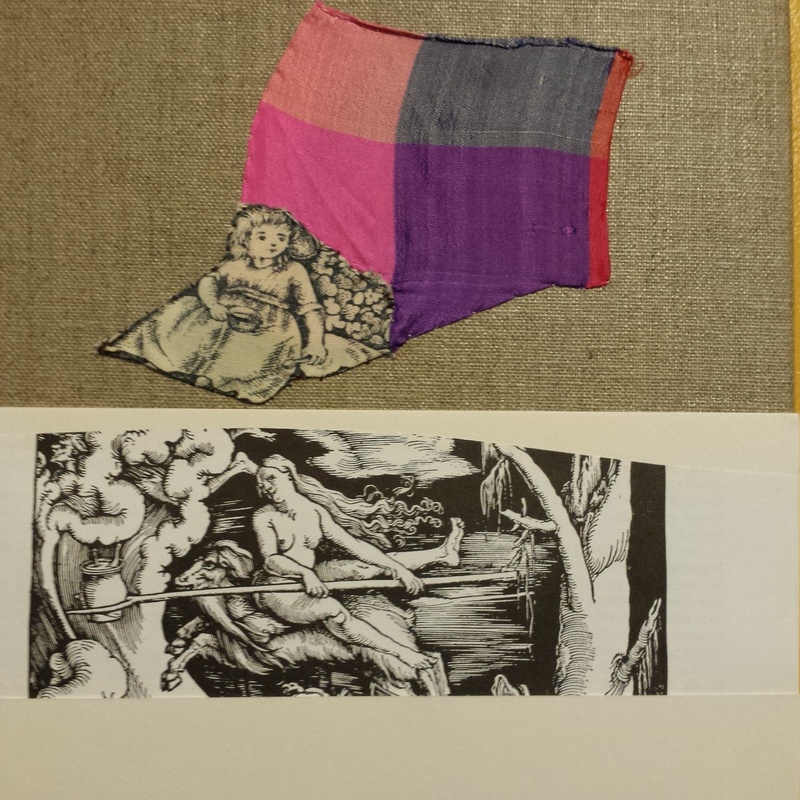 I’m slowly getting back into my art and am drawn to collage. Classes? Meet-ups? Please let me know. 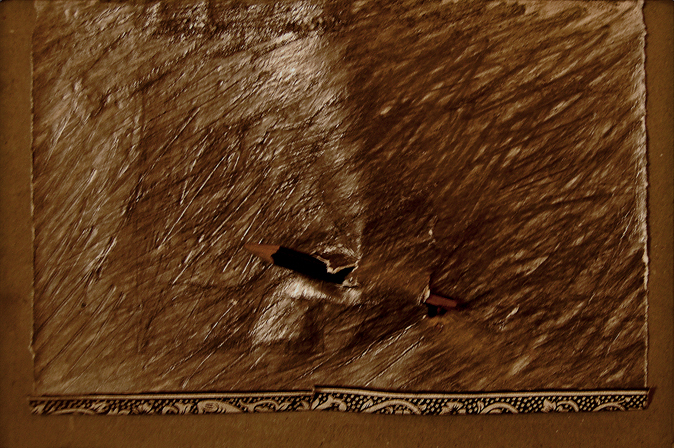 For anyone reading this you can also reach me at my blog that’s also about art. I look forward to meeting you. I learned about you in the current issue of NashvilleArts Magazine. Thank you! The website looks great Lisa….as do the collages posted. 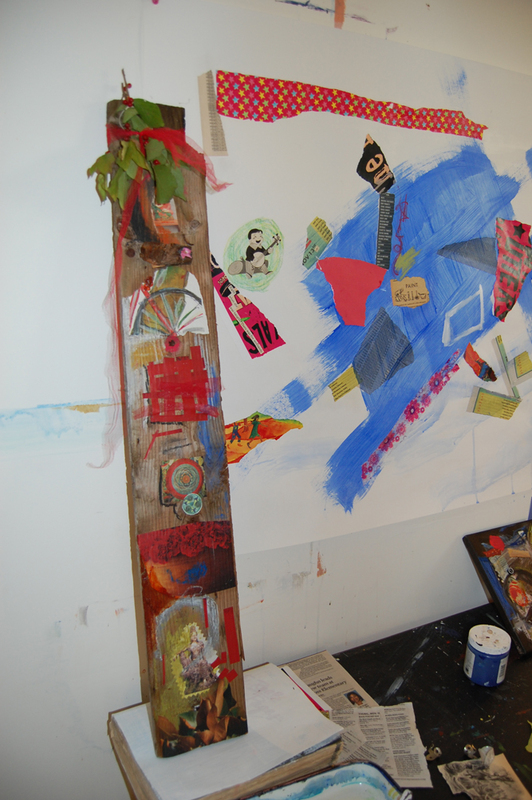 I’m teaching my second beginners mixed media class at the moment…hoping to do an advanced class in the fall. I know that some of these artists are interested in getting together as a collective in the future….looking forward to that! I also am interested in meeting up with the group! 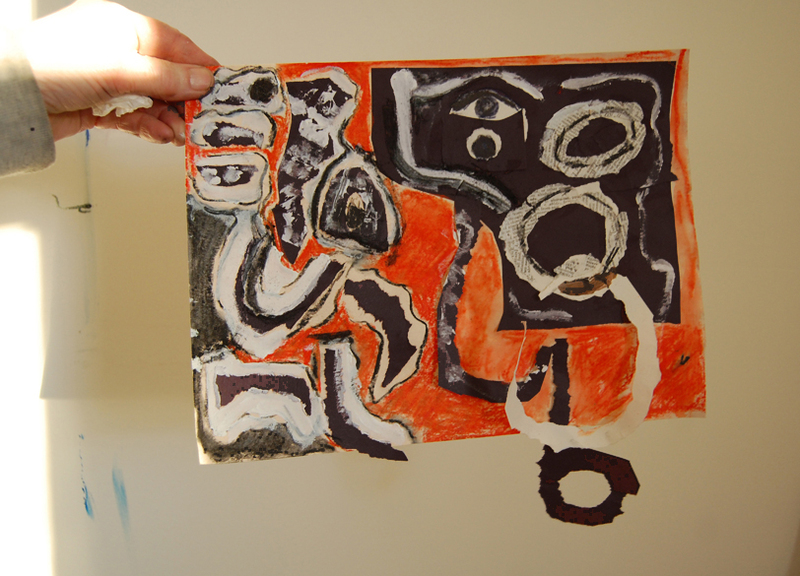 Collage is great fun – no mistakes! thanks for writing… the 4 core members of our group have just been working together on some collaborations but not had any parties for a few months… but we are open to starting them up again if there’s the interest! “Sen” is an amazing piece. Congratulations! 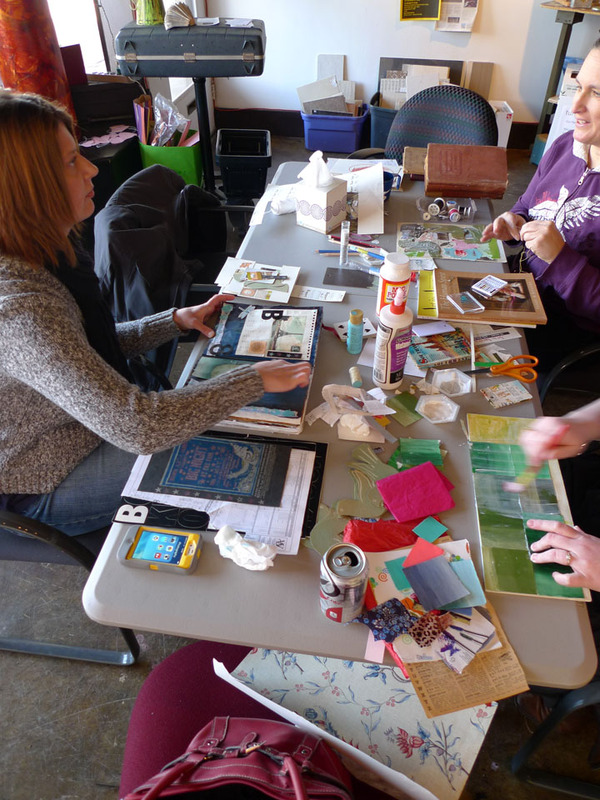 Collaborating on collage is a worthwhile and satisfying endeavor. You guys should be proud and I’m happy to see artists having a good time. thanks! we just pulled that one out of the archives and hung it at a local gallery/coffee shop… it was started by a coffee spill on watercolor paper. I am interested in joining this group as is a fellow artist friend. Do you live here in Nashville? If we start the parties up again this year, i can add you to the e-mail list and keep in touch!